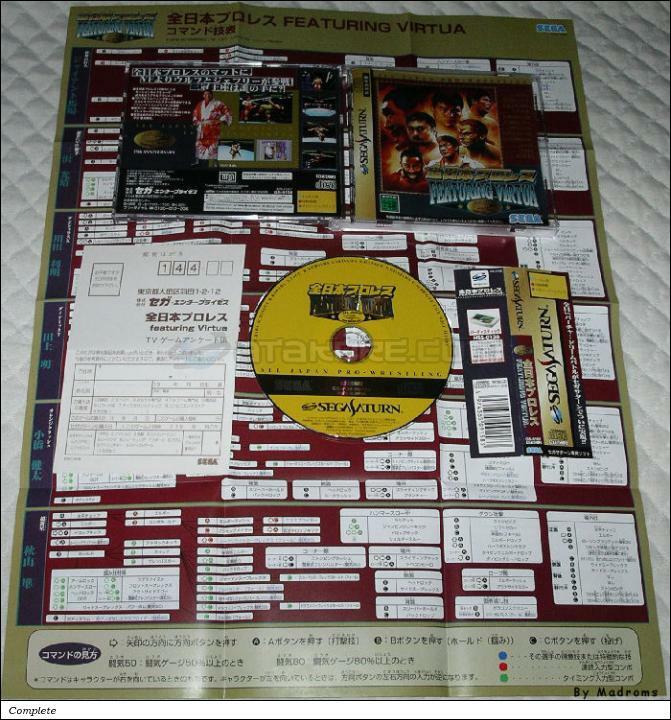 Zen Nihon Pro Wres Featuring Virtua (全日本プロレス　ＦＥＡＴＵＲＩＮＧ　ＶＩＲＴＵＡ) is a Sport - Wrestling game, developed by Scarab / Sega Enterprises, Ltd. and published by Sega Enterprises, Ltd., which was released in Japan in 1997 for the Sega Saturn. Scarab / Sega Enterprises, Ltd. Hold L + R and select Vs. mode.